Tobias Flessenkemper, a German national, is a programme associate at ECDPM since 2017. He has worked with ECDPM since 2015 on a study on the European Union Special Representative (EUSR) system and on the CIVILEX project, for which he provides expertise on the Common Security and Defence Policy. Tobias Flessenkemper is managing director and founder of the Berlin-based advisory organisation elbarlament.org, which focuses on innovation in democratic governance and security. He has among other things led projects in countries affected by conflict, including Syria, Iraq and Myanmar. He is also a senior fellow at the Centre International de Formation Européenne (CIFE) in Nice and a lecturer in European politics at the University of Cologne. In 2012 and 2013 has was a visiting fellow at the German Institute for International and Security Affairs (SWP) in Berlin. From 2004 to 2012 he served in EU Common Security and Defence Policy operations in policy and management functions in the Western Balkans region and Brussels. Before that he worked as advisor for the Organisation for Security and Cooperation in Europe (OSCE), UNICEF, the EU and the Berlin-based Centre for International Peace Operations (ZIF). He furthermore keeps a strong link to education, youth and culture, dating back to his service as Secretary General of the European Youth Forum. 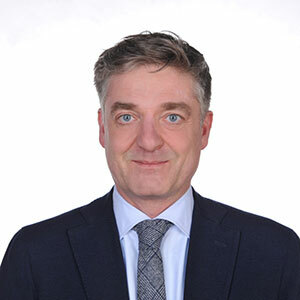 Tobias Flessenkemper holds a Master’s degree in Political Science with a focus on European integration from the University of Cologne and in International Humanitarian Assistance (NOHA) from the Ruhr-University Bochum. Throughout his professional career he has gained extensive experience in bringing together research, policy and advisory practice thanks to his practical exposure to international cooperation projects from his work in the European neighbourhood region in particular. The Response of OSCE Field Operations in South-Eastern Europe to the Migration and Refugee Crisis (with Florent Marciacq and Ivana Boštjančič Pulko), in: OSCE Yearbook 2016, edited by the Institute for Peace Research and Security Policy (IFSH) Hamburg, Baden-Baden (Nomos) 2017. Bosnia and Herzegovina, in: Fruhstorfer, Anna, Hein, Michael (Eds. ), Constitutional Politics in Central and Eastern Europe. From Post-Socialist Transition to the Reform of Political Systems, Wiesbaden (VS Springer) 2016. Jahrbuch der Europäischen Integration: annual country articles Albania, Bosnia-Herzegovina, Kosovo, Baden-Baden (Nomos) 2014 / 2015 / 2016. What is the gender of security?, edited volume (with Damir Arsenijevic), Sarajevo Open Center (SOC), Sarajevo 2013. Ten Years After: Lessons from the EUPM in Bosnia and Herzegovina 2002-2012 (co-edited with Damien Helly and author), published by the EU Institute for Security Studies (EU ISS), Paris 2013. Building and Removing Visa Walls: On European integration of the Western Balkans (together with Tobias Bütow), in: Security and Peace / Sicherheit und Frieden, No. 3 (29) 2011.